Welcome to our book page. I’m Alina. Me, Tristan, Gina and Crispin have some amazing adventures in your body. We are slowly writing about them and when they are finished, you can buy them through this page. We call it Creative DNA and Genetics Education and we are trying to make it as easy as possible for you to understand. The Dinky Amigos Adventures are for younger children. We have loads of friends and you will meet some of them in these adventures. If you (or your favourite adult) are interested in reading more about our adventures, our Story Supplement will explain the actual science that goes on inside you. 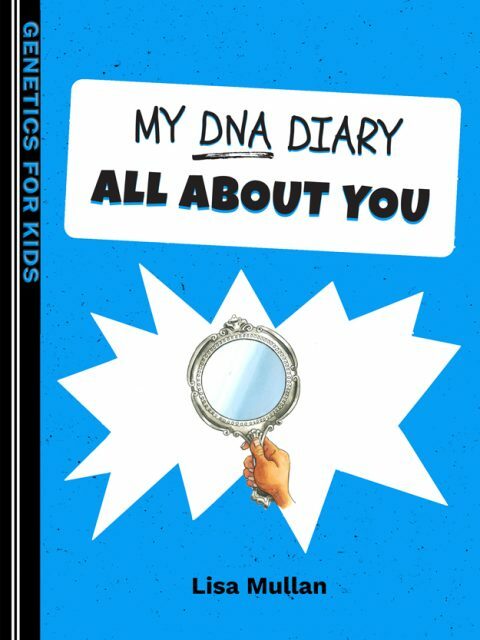 Our DNA Diary series is for older children. In each book we have written down what we are doing inside your body and how that connects to the biology and what you see on the outside. You are unique and fabulous. But just why are you so unique and why do you seem to have inherited your Dad’s weird laugh? Learn the language of DNA and genes with Alina in this gentle introduction to DNA Inheritance. This is a FREE ebook. Download it NOW! An additional resource for home or the classroom. DNA provides the instructions for your body. But just how do those instructions work and why do they affect your body? Learn how and why in this entertaining and educational book . The Dinky Amigos wish to play in the park. But Seedy Tea has got there first and he isn’t sharing! Will they get to play too? For Readers of 4 and up. The Dinky Amigos love to dance. Join them as they try to find new friends through their favourite hobby. For readers of 6 and up.